Following last week's Tommy Steele headline in the Wisbech Standard, it's the The Sun's turn to put an old singer into the limelight. 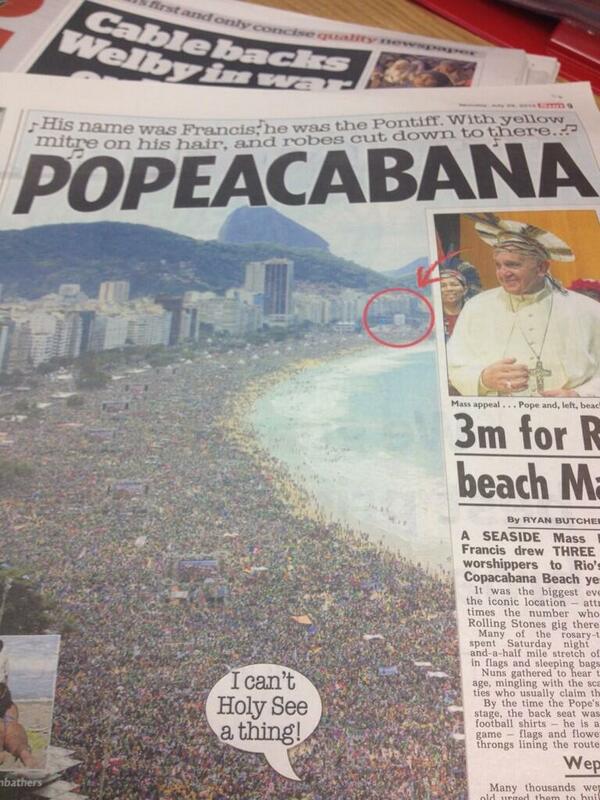 It uses a Barry Manilow headline and strapline over an astonishing picture of crowds on Rio's Copacabana beach. 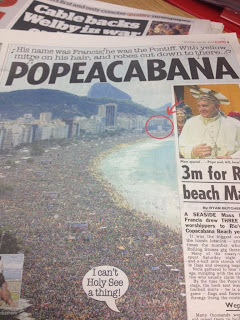 So blindingly obvious now you see it ... but brilliant nonetheless.